Voting for "Chess Clash" ends November 13th! FMs Warren Elliott and Ryan Harper have represented their respective countries (Jamaica and Trinidad) on 1st board at the recently-concluded Chess Olympiad in Bled, Slovenia. Both faced some of the strongest players in the world and certainly the experience will be valuable. Part of the learning process of improving play is game analysis. 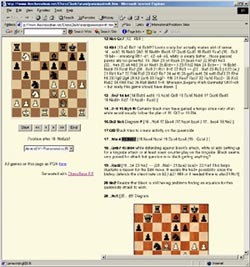 Last month both Elliott and Harper engaged in a war of words… in the form of chess annotation. 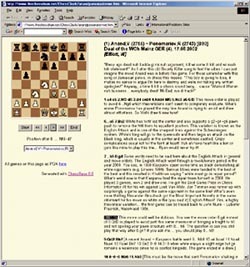 Both demonstrated their prowess in annotating the theoretical Anand-Ponomariov game #4 of the 2002 Mainz match. It's now your turn to vote for what you feel are the best set of annotations. There are only two more days left for voting and the race is a dead heat! Votes have come from around the world including Bled, Slovenia from players participating in the Olympiad. The current score has FM Harper ahead winning 55.00% to FM Elliott's 45.00%. Voting ends on the 13th of November and is for those who can understand the art of chess annotation. Place your vote for the "Chess Clash" King!